WHAT ARE THE LIFE THREATENING ALLERGY TRIGGERS? 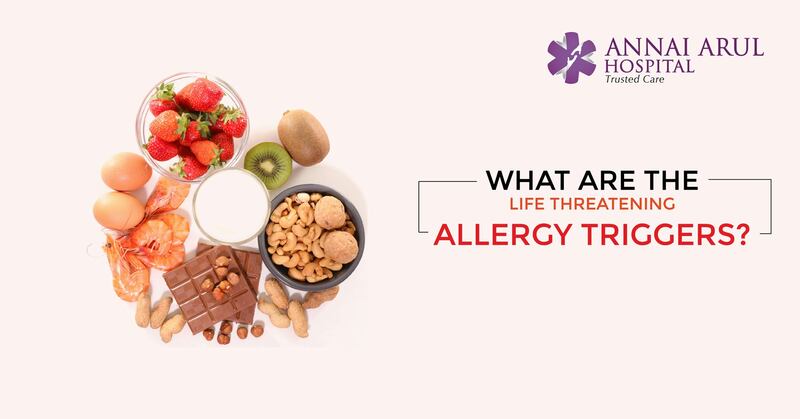 Many foods we consume, pollutants, chemicals and materials we use can trigger life threatening allergies and consequent conditions like anaphylaxis. Here are a few of the more commonly consumed foods and substances that trigger such dangerous reaction. The unassuming peanut is found to be potentially a lethal cause for food related allergy deaths. Peanuts can trigger anaphylaxis, a reaction that makes breathing difficult and prove fatal if not treated instantly. The symptoms start within minutes of having peanuts, they may also take a few hours to manifest. The signs include swelling, hives, trouble breathing, rapid pulse and dizziness. Shellfish such as lobster, shrimp and crab can be triggers for fatal allergic reaction in some people. Shellfish and fish allergies are so potent that even inhaling the cooking vapours can start a reaction. The symptoms include swelling of tissues, blocked airways and having serious heart and circulation problems. Who would believe that the tiny sesame seed can trigger a huge anaphylactic reaction? Legumes like lentils, peas, soy beans and other seeds can also cause reactions. They are similar to the peanut which is a legume. The nutritious and much like cashew and walnuts are also potentially dangerous as they may cause allergic reaction in some adults. Some children are more susceptible to allergies due to milk, wheat and eggs. These substances can be hidden in other foods, like baby food and can cause the allergic reaction Ingredients made from milk, wheat, nuts and soy such as lecithin (soy) and whey (milk) can also cause allergy causing in some adults as well as children. When a victim gets stung by a honeybee, wasp or hornet it can trigger anaphylaxis. If you suspect an allergy due to an insect sting then immediately consult an allergy specialist who might prescribe some inject-able medications. go for an allergy shot. The shot may prevent the onset of anaphylaxis from insect sting. Sometimes avoiding wearing perfumes and colognes or bright colours can prevent flying insect and bug stings. Hospitals and doctors take care to get information from the patient about any allergy to particular drug. Pencillin and other antibiotics can trigger drug-related anaphylaxis. Certain chemotherapy drugs, imaging dyes, muscle relaxants used in anaesthesia are all triggers for allergic reaction. The doctor may either give allergy shots before administering a drug or give alternative medications. Patients who undergo repeated surgeries and health care workers are more at risk of latex allergies. The triggers can be latex gloves, IV tubes, syringes, and all other items made with natural rubber latex. Even other materials like balloons, condoms and rubber bands can cause severe reactions.